From the moment you walk into our space, overlooking beautiful Sequiota Park, the burdens of the day begin to fade away. Learning to focus on the present moment, on the breath, and on the movement, our students begin to find balance. 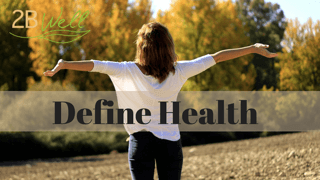 At 2B Well, the tranquil surroundings serve as a safe haven for our students, and whether you are looking to address chronic issues or you have the desire to relieve stress, you will find effective tools for improving your health and overall well being. With the highest integrity and unparalleled professionalism, Denise Bischof works to help students make the most of their experience. Bringing a high level of expertise, talent and ethical conduct to everything that she does, Denise takes a holistic approach healing and restorations of the body, mind, and spirit.There is no pre-requisite when it comes to relaxing and restoring. We offer a safe place to learn that is always welcoming, accommodating, and free of judgment. Our classes are a perfect compliment to your journey of healing and self-discovery. 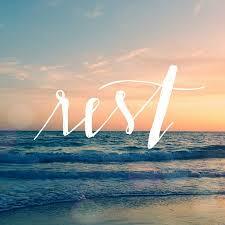 Private Relax & Restore and Core Support sessions are tailored to your specific needs. Whether your dealing with an illness or injury or would like guidance in developing a home practice. 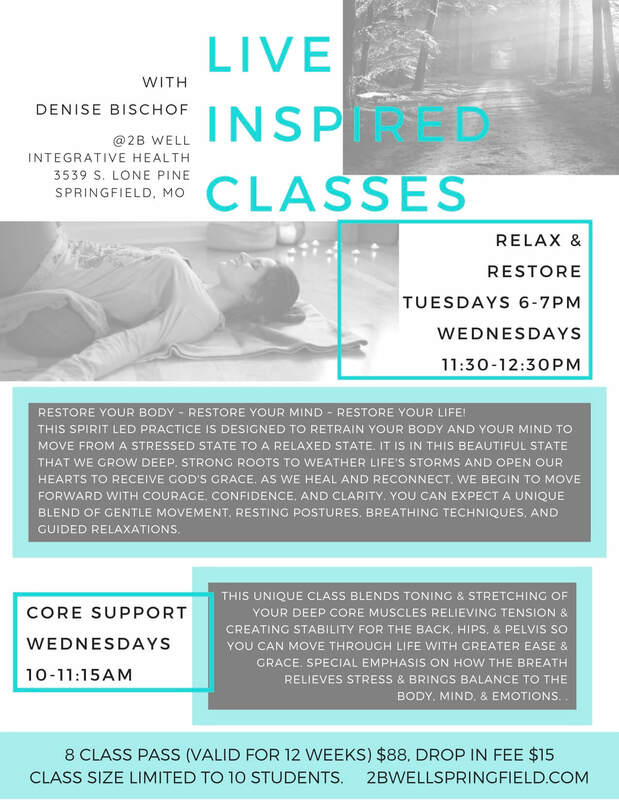 To schedule your session, contact Denise at 417-861-6446 or liveinspiredcoaching@gmail.com.